The Legend of Zelda: Majora's Mask, one of the biggest titles in the Zelda franchise may be coming to Nintendo's 3DS real soon. The sixth installment in the franchise has had many fans imploring to remake the game to this generation of gaming. Majora's Mask was nominated for the 'Game of the Decade Award' back in 2009 which won the title beating out other nominee, Super Smash Bros. Brawl. Many Zelda fans weren't satisfied with the newest edition of Zelda games coming out and just three short years ago The Legend of Zelda: Ocarina of Time another big Zelda title was re-released for the 3DS and was as big success among the Zelda community. However, the hunger of the community was still not satisfied. Recent pictures have been swarming the internet when a Target employee revealed pictures of the title being updated in their inventory. The pictures included the bar code number and the revealed price. The price tag showed a merely $44.99 as the final price for the product. The leak doesn't come to a surprise as Nintendo has previously hinted at the possible release for the famous N64 game. Nintendo's involvement in the leaking of Majora's Mask included in another 3DS Zelda title under the name of The Legend of Zelda: A Link Between Two Worlds where the "Majora Mask" is found on the top shelf of a virtual shop in the game. Another reason that gave many fans a feeling that the remake was coming soon was just last month when Nintendo released a job opening for an "upcoming Zelda title". Some questions have still been unanswered as to when will the game be released and if the title will be an exclusive to the 3DS? Many of the questions will be acknowledged in coming weeks as Nintendo will surely explain the meaning behind these pictures. The Zelda series wasn't a big title around my house but, I was fortunate enough to play Zelda: The Ocarina of Time and Zelda: Majora's Mask which were two of the greatest games I have ever played. 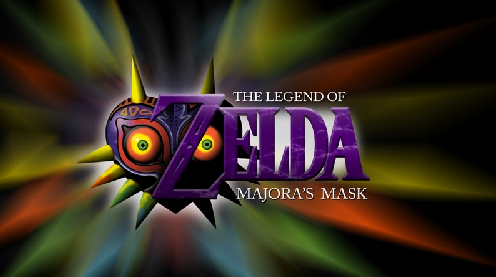 I personally prefer the Majora's Mask over the Ocarina since it has more of a darker storyline. Many Zelda fans possess a 3DS will certainly be overjoyed for the remake of one of the best games in history. I would recommend the game to anyone who owns a 3DS to purchase the remake as it will include an improvement of the graphics and will certainly not be a 'let down' for gamers. Since the leak was only recently leaked, it's only a matter of time as to when Nintendo will spill the beans for the official release. What are some of your thoughts on the leak of the game? Will you be picking it up once it releases?